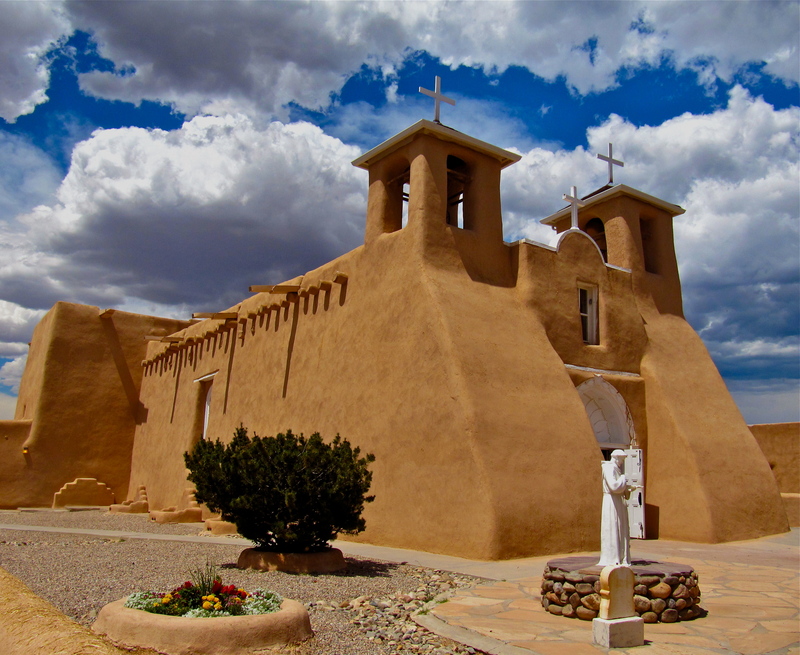 Construction of the most photographed church in New Mexico started 140 years before statehood was approved in 1912. 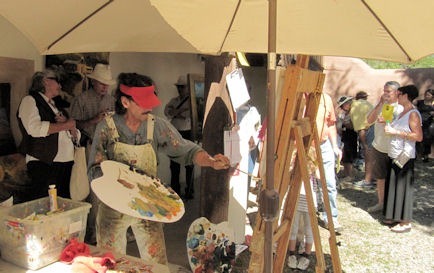 The natural beauty, flavorful cuisine, rich cultural and artistic history magnetically draw visitors to the Land of Enchantment. After dozens of trips to all corners of the state we still find new adventures and rewarding experiences with each visit. 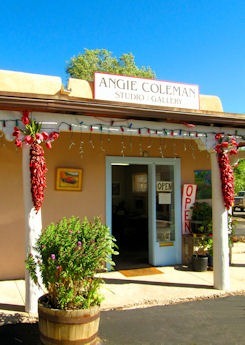 Why not join in the celebration with your own New Mexico discoveries? 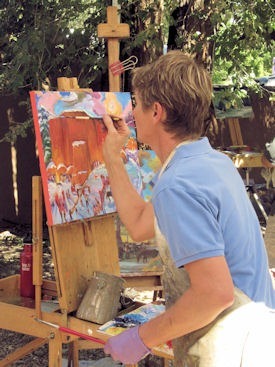 Check back often to see an ongoing series of reasons to visit and enjoy the enchantment. 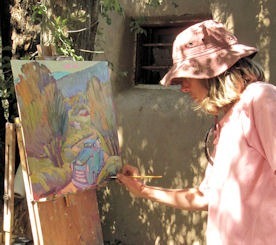 A century-old world of creativity and inspiration opened as we stepped into the domain of famed Taos artist E.I. Couse (1866-1936). 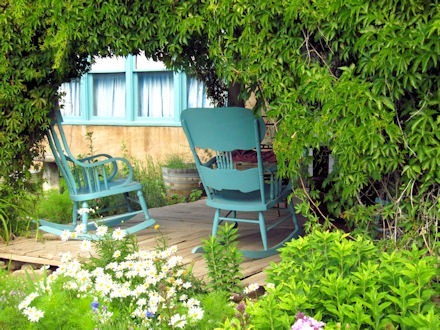 By pre-arrangement, we met Couse’s granddaughter Virginia in the garden of his home and studio. 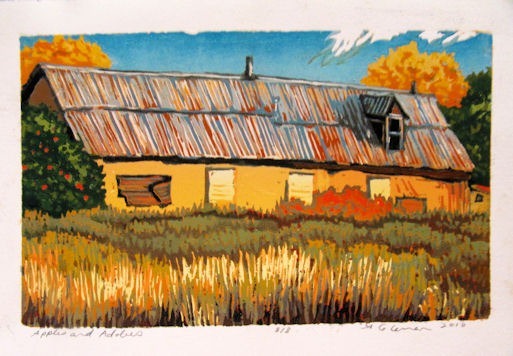 For nearly two hours we were captivate d by the stories she shared of her grandfather, one of the founding members of the Taos Art Society as we walked through rooms filled with family furnishings, collections, sketches, prints and original paintings. 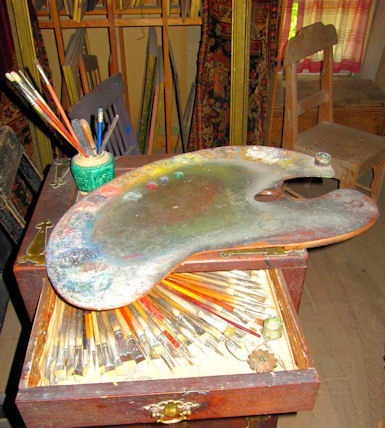 We left inspired not only by Couse’s art but the family’s commitment to preserve his legacy through The Couse Foundation. Tours must be arranged in advanced. 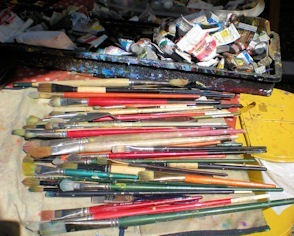 No fee is charged but donations to the foundation are gratefully accepted. When you go be generous for this is worthy of support. 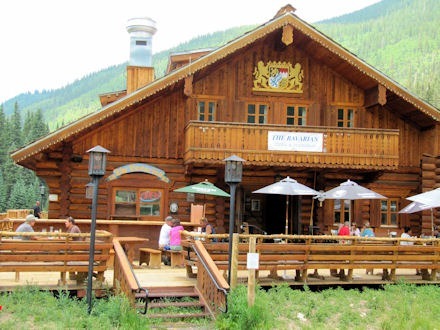 For the afternoon we headed to the Taos Ski Valley and lunch at the Bavarian Lodge and Restaurant. The 19-mile drive from Taos ascends through the Carson National Forest into the Sangre de Cristo Mountains. The restaurant sits at over 10,000” altitude, transporting guests to an alp-like ambiance. After a filling German lunch we stroll the Village of Taos Ski Valley, considerably quieter than a wintertime visit. 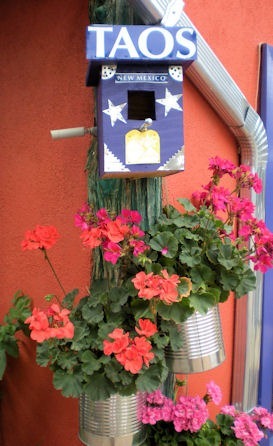 Returning to Taos we stop in the quirky village of Arroyo Seco. 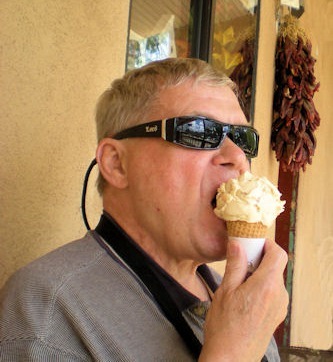 It’s impossible for me to pass through Seco twice without a stop at Taos Cow Ice Cream. I consider the day a total success when one of today’s choices is Pinion Caramel, my absolute favorite. Across the street we “need” to do some jewelry shopping at Claire Works. Bob is now supplied with gifts for my birthday and Christmas. 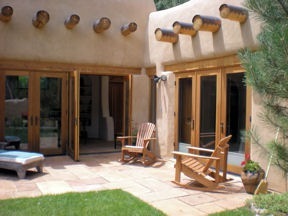 In light of spaetzle and ice cream we make a workout visit to the Taos Spa. The facility accommodates regional visitors with reasonable priced day passes or multi-visit punch cards. We peacefully conclude the day back at the casita with music, wine and books – a fantastic Friday. 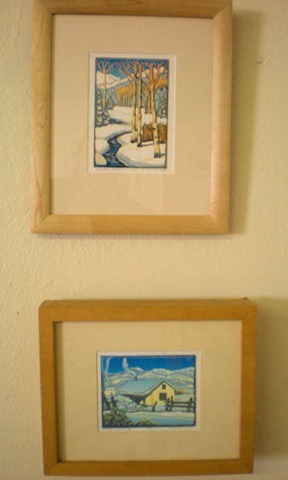 We’ve arrived for our long anticipated yearly sojourn in Taos, New Mexico. 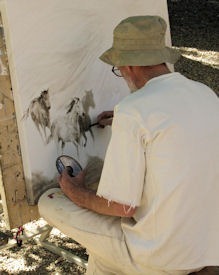 Next week Bob attends a watercolor workshop given by Taos resident artist/potter Stephen Kilborn. Driving from Colorado our traditional first stop is lunch at Orlando’s, a personal favorite consistently serving excellent New Mexican fare. 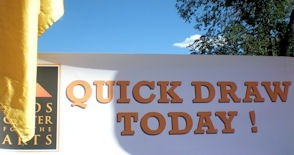 Today we savored every tantalizing taste – Bob a shredded beef chimichanga, Nancy a combination platter of cheese and onion enchilada in a blue corn tortilla, chile relleno and a shredded beef taco in soft shell blue corn tortillas, accompanied by posole and beans. Yum! Although many Orlando’s menu items are ones similar to those found on Tex-Mex menus there’s a world of difference in the rich New Mexican flavors. Filled to the gills, we declined one of the homemade dessert treats. 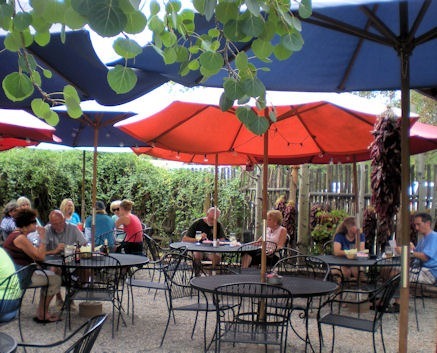 During our Taos visit I’m planning on several more visits to enjoy the shredded beef burrito, the fish tacos and grilled shrimp burrito plus dessert at least once. The flan is always exceptional and the frozen avocado pie uniquely refreshing. 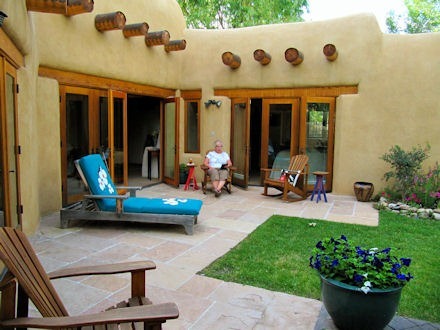 For the third year we’re delighted to settle into Casa de Las Abuelas, an adobe guest house. I’ll share more about this exceptional property in a separate posting. The convenient yet secluded location provides much needed tranquility after a day of travel, museum and gallery visits, or outdoor activity. After threatening afternoon skies we peacefully watched evening descend as mere whiffs of clouds inched across the sky. A perfect beginning to a Taos vacation. We were on our last leg of a three week road trip. 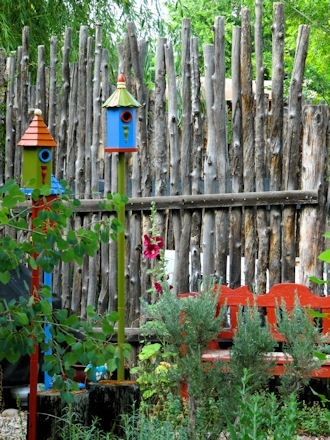 The route took us through Taos, New Mexico – a place we like to visit and know fairly well. Other than a stop at the Visitors Center to use the restrooms and pick up the requisite five pounds of current travel literature we stop only for traffic and stoplights. As I’m sitting in the passenger seat thinking how strange this seems Bob says, “Feels funny not to be doing anything here, to just drive through.” We point out new street lights, a reopened restaurant, a road project completed since last summer, new gallery locations but keep driving. Today we’re focused on getting home. The draw of Taos is strong, we already have plans for a week this summer when we’ll see Taos up close and personal not through the windshield. 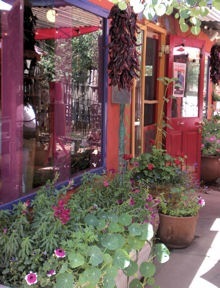 When You Go: Don’t just drive through plan a Taos visit.